The past decade has hit everyone with technology like never before and a lot has changed from the times Alexander Graham Bell created the first telephone! One of the most intriguing phenomenon, has been the evolution of mobile ‘Apps’ and I feel that they have been the biggest boon to humanity. With the growing need to stay connected, marketers have lapped this opportunity quickly, thereby paving way for its advancement. As of today, we have an app for almost everything, right from discovering a new place to eat, shop, meet or even work effectively. Tinder is the latest buzzword in the mobile app arena. 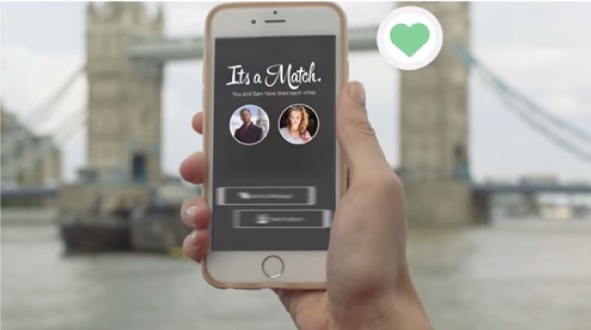 For a lot of you who haven’t heard about it, Tinder is a dating app that has garnered much attention recently. Conceptualized by HATCH labs, Tinder is controlled by IAC, the name behind the biggest go to sites in the world that includes, about.com and Vimeo to name a few. Tinder was launched in 2012 and did not garner much momentum at the start. It was in early 2013, that it shook the app world, making it one of the most popular dating app, with a whooping 10 million downloads. As a marketer and app manufacturer this is great news, but not everyone gets bitten by the viral bug. The question that hits everyone’s mind is its enormous success. Was it a case of brilliant marketing and branding? The answer to this question is a NO, considering that most companies promoting mobile apps work with highly monitored budgets. Clearly the Tinder success story owes its due to growth hacking, a concept that involves analytical, creative and using unconventional methods to boost growth and redefine a product to its end users. A lot of tech-start ups understand the importance of growth hacking and today this concept is getting highly evolved and accepted. Start-up giants like Facebook, Uber and Twitter have benefitted tremendously from growth hacking by including a simplistic approach within their marketing strategy. My personal favorite is the Drop box case study. Dropbox included simple growth hack techniques like a sign up page with video and a call to action button just underneath it. It also introduced a fairly simple sign up process and used social media channels for amplification and easy sharing of files. The best growth hacking technique has been the introduction of a referral model. This helped the current users to ‘win’ a 500MB increase by simply referring a friend. According to its founder Drew Houston, this simple trick garnered them a 60% increase in sign-ups! Coming back to Tinder, one can see that three growth hacks (simple again) worked for them! The 20th century user is liberal and informed and open to experimentation and today’s word of mouth is the biggest driver for the success of any product. It is also relevant that ‘word of mouth’ requires a network to spread. Tinder developers realized that this dating app needs the right fuel and hence introduced it at college campuses in US, providing the right ‘network’ and ‘word of mouth’ playground. This helped them tap the right audience (aged 18-25) who were interested in dating, were unmarried and enjoyed technology. They introduced frat parties with an entry ‘fee’ that meant downloading the free mobile app. People enjoyed the experience and its simplicity did the rest. How many of us have been lucky in dating and where does technology fit in here? Sean Rad, CEO of Tinder answers this well. According to him Tinder aims at reducing the barriers between meeting a new person with the help of technology. In other words, Tinder gave new meaning to the ‘science of attraction’ and hit the jackpot by minimising social awkwardness around dating. The mobile app has two quick swipes. A left is a no and a right is a yes, furthermore if two individuals are a match (the app does the needful) only then can they move forward. This approach or usage hit the right place and boosted its growth. With too much noise about ‘other’ uses of Tinder, the app has still got significant traction, which definitely points at genuine and long term users. These loyalists are essentially the brand managers for Tinder and can never be attained by any other marketing tactic. According to TechCrunch, Tinder had already reached 50 million users in early 2013 which is a huge number by any standard. It also advises developers that, to have a stable revenue stream, apps must win and maintain customer loyalty through superior app performance and design. Learning from Tinder’s growth, it is also fair to add the usage of adept growth hacking tactics to this list. Are you an app developer launching your app soon? Have you considered growth hack as part of your launch plan? Share your inputs with us below.